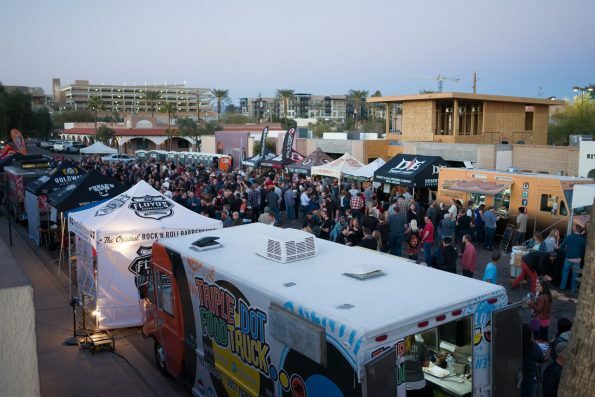 On Saturday, February 4 from 5 to 10 p.m., the third annual Brewers Bowl craft beer festival will be held in the heart of downtown Scottsdale. 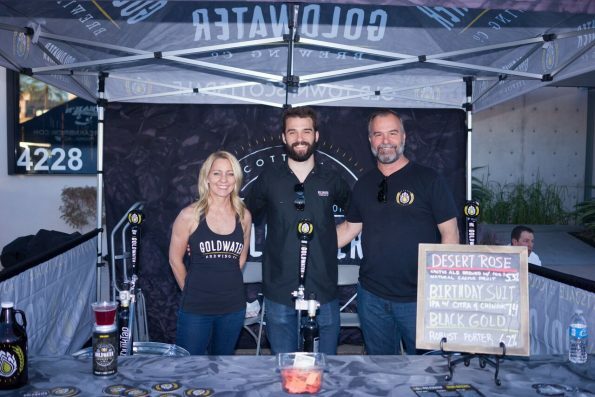 Continually expanding since its inaugural year, the event is designed to showcase the growing craft beer scene in Arizona. Featuring all local breweries, including many in their first production year, guests will enjoy beer tastings from at least 20 breweries, plus live music and food trucks. The Brewers Bowl benefits the Paradise Valley Emergency Food Bank, a food cooperative dedicated to providing emergency provisions to the community’s hungry. The growing list of participating breweries includes: 12 West Brewing Co., The Beer Research Institute, Borderlands Brewing Co., Craft 64, Dark Sky Brewing Company, Freak’N Brewing Company, The Grand Canyon Brewing Company, Helio Basin Brewing Co., Helton Brewing Co., Mother Bunch Brewing, Mother Road Brewing Co., North Mountain Brewing Company, OHSO, Pedal Haus Brewery, The Phoenix Ale Brewery, Peoria Artisan Brewery, The Perch Brewery, Saddle Mountain Brewing Company, and Two Brothers Artisan Brewing. For hungry beer lovers, Electric Sliders, Frites Street, and Modern Tortilla will be serving up delicious street eats. A competition held prior to the event allows breweries to submit multiple beer samples in any style they choose for a chance to be crowned the 2017 beer champion. The growing popularity of craft beer has brought fierce competition to the industry, and the quality has never been this high. Determining what beer is the best beer in Arizona is no small feat. Submissions are judged in a blind tasting by a panel of certified beer judges who have completed the Beer Judge Certification Program (BJCP). Points will be tallied based on a variety of beer characteristics, including aroma, flavor, balance and drinkability, among others. The winning brewery will take home bragging rights and a trophy that is modeled after the Vince Lombardi Trophy, showcasing a life-size mini keg in place of a football. Past winners include North Mountain Brewing Company and The Beer Research Institute. The Brewers Bowl will be held in the heart of Old Town Scottsdale near 4216 N. Brown Ave., Scottsdale, Ariz. 85251. The festival is set-up on Brown Avenue between 3rd and 4th Avenues, which is closed to vehicle traffic. Advance purchase general admission is $35 dollars and includes 20 beer-tasting tickets. General admission tickets will increase to $40 at the gate. VIP admission is $55, and includes 25 tickets, plus one-hour early entry into the event at 4 p.m. A portion of event proceeds will benefit the Paradise Valley Emergency Food Bank. To purchase tickets, visit www.brewersbowl.com.